make we vote not fight”. 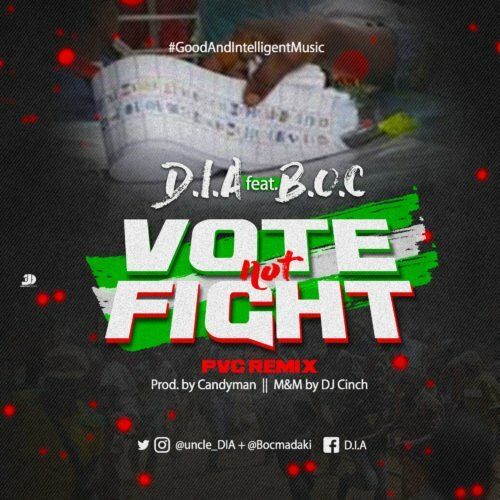 Now, gearing up to the forth coming general elections, ace Nigerian rappers D.I.A and B.O.C with their vivacious lyrics teamed up together to again awaken the consciousness of the Nigerian youth towards participation in electoral / decision making process. Both rappers spat their hearts out in English, pidgin English and Hausa Language to address issues of vote selling/buying as well as the need to have a violent free election. Endeavor to download, listen, share and spread the word.